What does it mean to research in the open? Why should I make my research open? How do I research openly? This course will be led by the OER Research Hub project team. 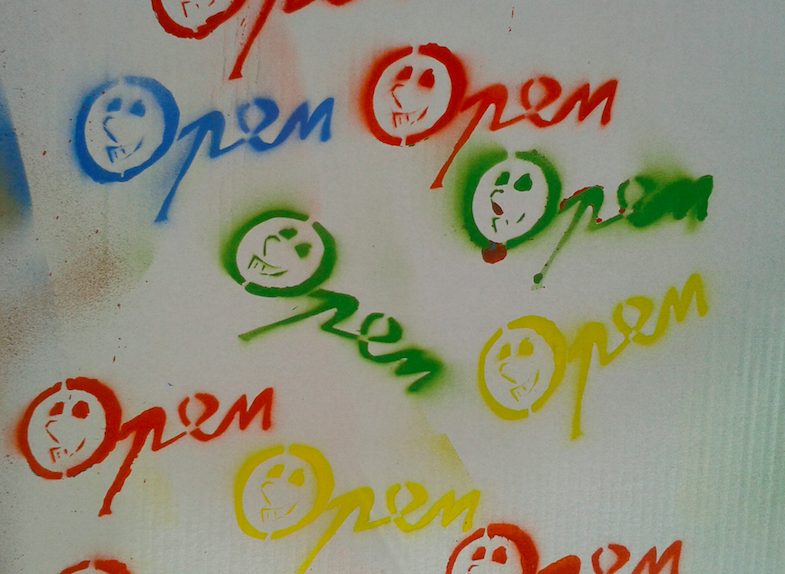 We are a project focused on researching the impact of openness in education. You can find out more about us in the section About Your Course Facilitators below. We’ll be using our experiences of working on an open project to demonstrate a set of solutions to the issues that openness raises. In particular, we’ll be showing you how openness can benefit your research by increasing the exposure your work has. We ran a first iteration of this course on P2PU in September-October 2014 and won an Open University Engaging Research Award for the course in February 2015. You can find out more about the course's development here. Whilst many challenges and issues apply to all aspects of research (for example choosing an appropriate methodology) open research brings a range of different opportunities and challenges; it’s these that we are specifically interested in exploring in this course. We look at what ethical issues open researchers might encounter and what openness means in practice. What can openness add to the research process? Whether you’re interested in finding out about a different aspect of open, or a researcher looking to explore what it means to research openly, come join us in sharing experiences and reflecting on your own practice. Sign-up for the course closes on Friday 11 September 2015 and the course begins on Monday 14 September 2015. Once you have signed-up (via the "start course" button at the bottom of the left-hand side content menu), please ensure you have read the "What do I need to do to participate in the course?" section which explains the structure of the course and how we will communicate with each other, including details of each Thursday's Hangouts. Week One (sections 1.0-1.5: Open Research): Monday 14 September - Sunday 20 September 2015. Week Two (sections 2.0-2.5: Ethics): Monday 21 September - Sunday 27 September 2015. Week Three (sections 3.0-3.5 Dissemination): Monday 28 September - Sunday 4 October 2015. Week Four (sections 4.0-4.5 Reflection): Monday 5 October - Sunday 11 October 2015. Interested in open research on OER. Come find out more, meet others and share your experiences on this School of Open course. Learn about best practice for sharing your research and how you can contribute to an international understanding of the impact of OER. This is a facilitated course, where you will have the opportunity to chat and work directly with members of the OER Research Hub team each week. In addition to the activities you can work through at your own pace, we have incorporated around an hour’s worth of contact time into the anticipated 3-4 hours needed to work through each week of the course. This will take the form of a Google Hangout every Thursday at 15.00BST (for the time in your country, see here). We will record each session so if you are unable to join us, you can catch up later on. The recordings of sessions will be made available on our YouTube channel playlist for the course. We recommend that you have worked through at least the first three sections of each week of the course before participating in Thursday’s Hangout, although this is not essential. You will need a Google account to participate in the Hangout and at least one activity per week will be asking you to work in Google docs. If you need to create a Google account, see here for more information. Please note that contributions submitted via Google forms can be viewed by anyone (e.g. they are public) and you may wish to use a moniker. This course offers you the opportunity to share ideas and experiences whilst hearing more about the challenges and benefits of open research. We anticipate that they’ll be some great discussions and interesting debate during the course. So that future participants in the course benefit from the discussions and activities that will take place over the coming weeks we will be reviewing participant contributions after the course has taken place, with a view to including them in future iterations of the course. This will help others benefit from all our experiences and work. As you might already be aware, all School of Open courses are licensed CC-BY-SA 4.0 and all contributions and materials shared as part of the course (e.g. activities, Google spreadsheets, forum posts, etc.) will default to CC-BY-SA 4.0. By sharing and being open we can help ensure that every iteration of the course improves through participant contributions and feedback. Please note that images, audio and video are governed by different licenses and by third parties according to the Image and Asset Credits page. We will be discussing open licensing later on in the course. However, if you want to find out more about different Creative Commons licences, you can take a look at one of our infographics on open licensing featuring Mr O'Pen, which was produced as part of our work with the Flipped Learning Network. This course will be facilitated by four members of the OER Research Hub team: researchers Bea de los Arcos, Rob Farrow and Beck Pitt and Project Manager Natalie Eggleston. Your course facilitators work on a project (OER Research Hub) which is researching the impact of open educational resources (OER) on learning and teaching around the world. We’re based in the Institute of Educational Technology at the Open University in the United Kingdom. 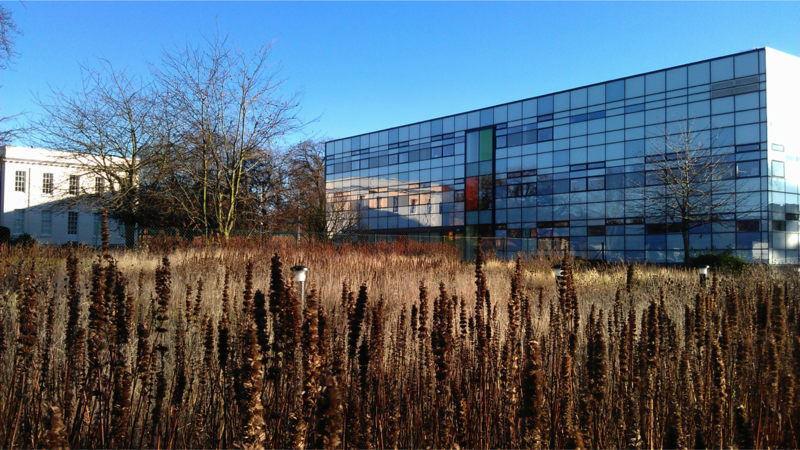 The Open University has an open admissions policy and is Europe’s largest provider of online distance education. The OER Research Hub conducts original research in the open, collaborating with a growing number of OER projects and initiatives, in a variety of educational contexts. We collect, assess and curate evidence for the impact of OER in eleven specific, yet interrelated areas which have been identified as central to understanding the influence of ‘open’ in education. We make different types of evidence available via our Impact Map, which is a collaborative tool that visualises the use and impact of OER around the world. This course has been structured to reflect key areas we have identified where openness made a real difference to the way we conducted our research. As we’re most familiar with our own project, we’ll be using our own project as the primary context for our examples. However, we’re pretty sure that you’ve got your own examples and experiences too and we are looking forward to learning from, and with, you over the next four weeks. 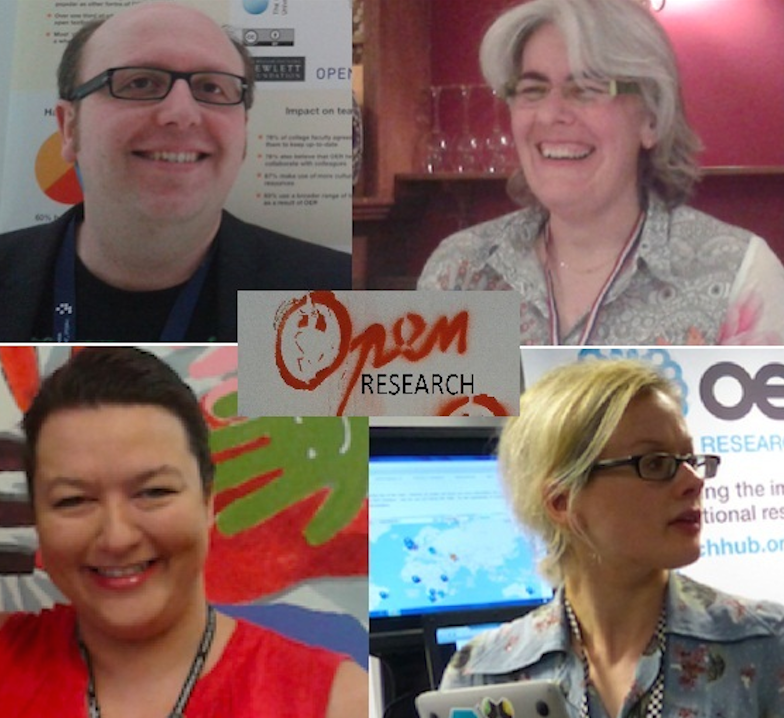 You can find out more about the OER Research Hub team here. If you’re interested in finding out more about the kind of open research we do, you can visit our homepage and follow us on Twitter (@OER_Hub). Got a question about the course? Just tweet us on #openresearch or email us at: oer-research-hub [at] open [dot] ac [dot] uk.